Why Should I Fight a Jacksonville Foreclosure Lawsuit? Reinstating your mortgage through negotiation. Filing a Florida Bankruptcy with a Jacksonville Bankruptcy Lawyer. Selling the property to pay off the loan. Turning the home over to the mortgage company and dealing with the extra fees and the negative equity in the property. Using the techniques of a Jacksonville Foreclosure Defense Lawyer to defend the foreclosure. Remember that once you have been served with court papers, you only have 20 days to respond or you may lose your home. While a loan modification may seem like a reasonable choice, when you look at the actual terms that are being offered by the mortgage companies, you will see that it is only a short term fix and they are not reducing the amount you owe. A typical loan modification will reduce the payment for a few years, but add the extra you are not paying on to the end of the loan. While there are always exceptions, this is generally what is happening. The problem is that you're still paying far more for the home than the current market value and the lower interest you are paying in the short term goes away in a few years. Many individuals and families will find themselves in the same position as they are in today. If you cannot afford the monthly payments on a loan, then filing for bankruptcy and loan modification may not be a viable choice. 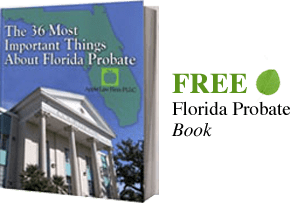 A Florida Foreclosure Lawyer can institute a foreclosure defense which can actually allow you to stay in the home while you make the decision to refinance your home, sell the property, or evaluate alternatives that can let you keep the home. You are not expected to make your home payments while you are in foreclosure and this additional source of revenue can allow you to get back on your feet and increase your chance of keeping your families home. Because many loans and foreclosure suits are defective, we can often file counterclaims on your behalf. As a result of these counterclaims the mortgage company may have to pay you damages. These damages can result from bad loan documents, to faulty assignments of your mortgage, or fair debt collection violations. It is important to have a Florida Foreclosure Defense Lawyer review your individual circumstances to determine what is the best course of action that is consistent with your goals and objectives. For a free review of your Florida Foreclosure by a Florida Foreclosure Lawyer contact us today. To read more about news and events about Florida Foreclosure Defense check out the Florida Foreclosure Defense Lawyers Blog.